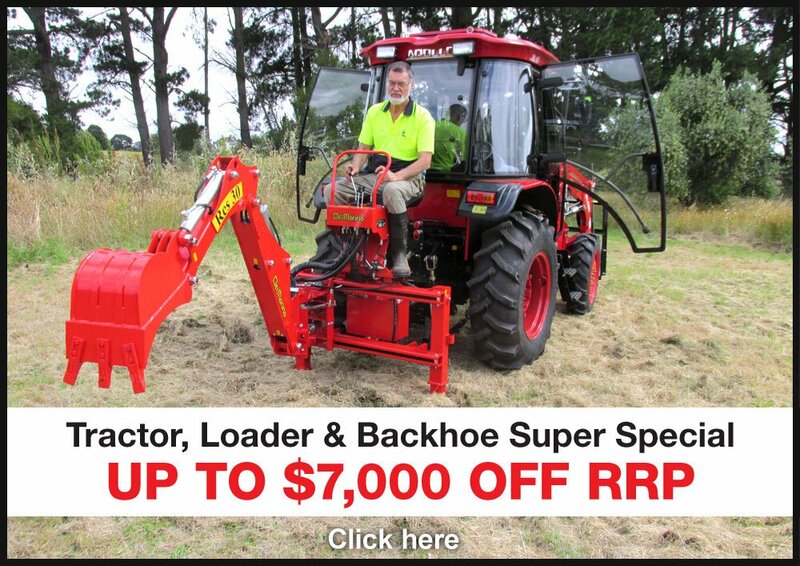 ***SAVE $1,000 ON DEL MORINO BACKHOES*** | RES40 Backhoe was $11,950, now $10,950 | RES50 Backhoe was $12,950, now $11,950 | Click here to view the special…………Come and see us at Tocal Field Days on Friday 3rd – Sunday 5th May 2019 at 815 Tocal Road, Paterson, NSW, 2421…………We will also be at Primex NSW on Thursday 16th – Saturday 18th May 2019 at Richmond Valley Events Centre, Cassino Drive, Casino, NSW, 2470. 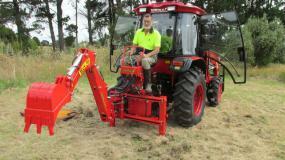 SOTA Tractors sells the best value, fully supported tractors & implements in Australia. 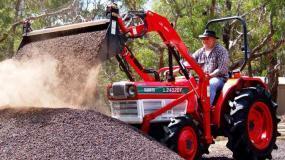 "...the whole process from enquiry to delivery has been outstanding..."
SOTA Tractors has sold literally thousands of tractors with front end loaders and 4-in-1 buckets. Delivered from our branches in VIC, NSW & QLD, our tractors can be found on thousands of farms across every state of Australia. 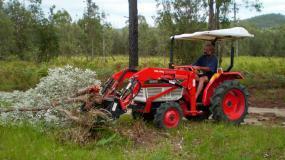 We offer new, compact APOLLO tractors and used KUBOTA compact tractors for sale, from 25hp to 45hp. 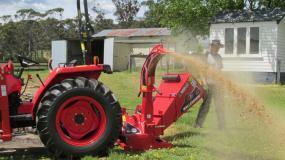 Our larger APOLLO tractors range from 55hp to 110hp. They can safely lift up to 1200kg - ideal for lifting round bales or 1000kg bulk bags. Click to see our entire range of tractors. 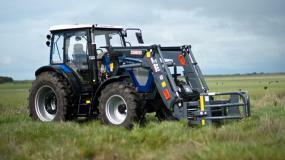 SOTA is the exclusive importer of FARMTRAC European Cabin tractors. The Farmtrac DT is a premium cab tractor with a Perkins engine, Carraro transmission, Bosch fuel injection system and Mita hydraulics. These superbly priced, commercial cab tractors are feature-rich. FARMTRAC DT cab tractors are available in 75hp, 90 hp and 110 hp models, costing as much as $30,000 less than comparative tractors. You save because SOTA sells directly to you, our customer. We provide full after sales support across Australia and carry a full range of parts and consumables in stock. As many of our customers are new to farming, our staff, which has extensive farming backgrounds, provides genuine advice on the most appropriate tractor and tractor implements. We take into consideration: the size of your farm, the tasks you wish to perform and your budget. We build a relationship with you, our customer, controlling the quality of the transaction. 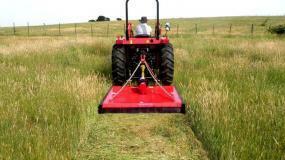 We deliver the tractor to your farm and instruct you in the safe use, maintenance and operation of your tractor. Your tractor has a comprehensive, written warranty and SOTA guarantees spare parts availability. Moreover, after you've purchased your tractor, we're ready to assist in the years ahead. We have many "repeat" customers who know & trust SOTA from first-hand experience. 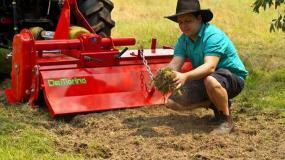 Some have purchased several tractors for their commercial farms. Others upgrade their original small farm tractor package for a larger tractor. Our customers regularly contact us to purchase specialised tractor implements such as Del Morino Backhoes, Rotary Hoes or Wallenstein Chippers. Our customers return because they know that we deliver what we promise. SOTA Tractors' customer support and after-sales service is the best in the business! We challenge any tractor dealer in Australia to show that their customer support is superior to ours.